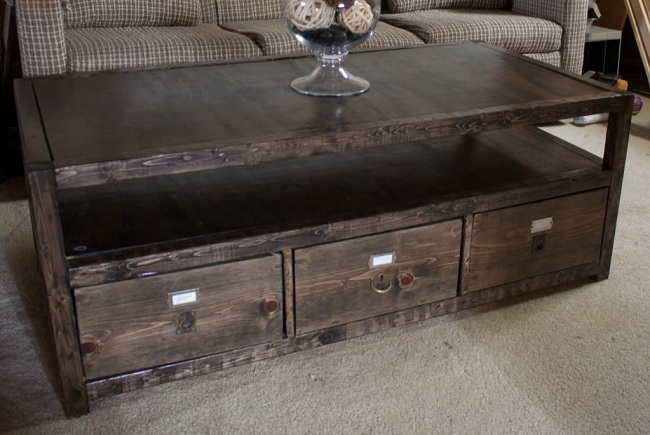 This coffee table is inspired by Pottery Barn. It has a nice style and makes a great statement. Project cost: about $60. Give it a try!